Sibiu features an aristocratic elegance you can find only in medieval European cities. 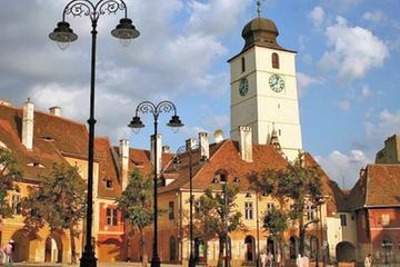 Today Sibiu is the center of Romanian culture. It is rich with operas, cinemas, theaters, as well as jazz and rock festivals. The city's inhabitants are highly proud of their native city. Choosing Romania as your destination for traveling with friends or family, you shouldn't miss the chance to visit one of the oldest and most charming cities - Sibiu. Behind the medieval walls of Sibiu, it's easy to see and admire the bohemian atmosphere typical of all Romanian cities. However, before heading to Sibiu, you'd better think about hiring a personal means of transportation. This is the only way to provide your family with fast and safe driving in a foreign city. 8Rental is one of the leading car rental services in Europe. We have served in this industry for years and know well what our clients expect to get when dealing with us. We offer a modern fleet of most diverse vehicles including minivans. We also can guarantee you with our staff of expert drivers, 24/7 friendly customer support, freebies (the fuel is included in the offer) and an easy ordering from. Entrusting your transportation to us, you are going to get all of these advantages. Get a quote from 8Rental to hire a minivan with a driver in Sibiu! The ordering process is very easy and the form is fast to fill out. The journey details needed to be stated include the trip type, the start date and time, as well as, the pickup and destination addresses and the number of passengers. Whether you plan to have the minibus at your full disposal, during your whole stay in Sibiu, or you plan to take a single trip, we can be by your side. The transportation details include the vehicle type and model, as well as, its class. You can also mention any additional requirements, like if you want to have a TV, a fridge or any other amenities, or you want to be met at the airport, just let us know! Once you fill in the quote and mention your personal details, such as your name and surname, your contact number and e-mail address, your order will have proceeded immediately! 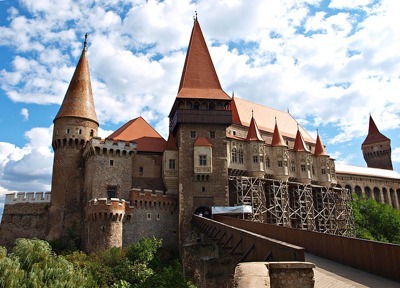 Rent a chauffeur-driven van in Sibiu and your group of visitors will be treated like royals right from the airport! We have diverse models to suit any client's particular needs. So, you should take into account what budget you can afford for booking a van with a driver, as well as the number of passengers supposed to be driving in the van. Mercedes Viano standard is a classic minivan perfect for small groups of travelers. Priced affordably, this model is perfect for up to eight passengers. It looks wonderful and comes equipped with all primary comfort amenities. If your budget is very tight then choose this model. Another standard class minivan provided by 8Rental is the Mercedes Sprinter. This is a more capacious vehicle that can accommodate around two dozens of people and drive them along Sibiu's roads in comfort and safety. Such specs as comfy seats, air conditioning, reading lights, etc. will help you to have an enjoyable trip. 8Rental has also enriched its fleet of minivans with business class models. 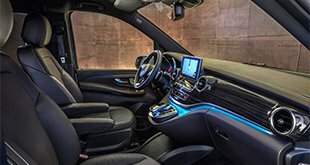 Just have a look at the Mercedes V class or Mercedes Sprinter VIP to realize how luxurious a transportation in a foreign city may be. 8Rental makes sure the candidate applying for the driver position is competent in all aspects. 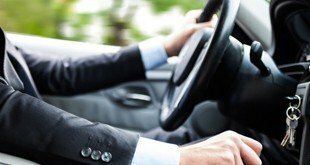 These are licensed, qualified and experienced chauffeurs ready to make your driving in Sibiu unforgettable. They respect punctuality, they rely on the seriousness and they are great communicators as they master at least one of the international languages. Just let them know about the direction you need and you will be taken there immediately! Rent a van with a driver in Sibiu from 8Rental to guarantee a great trip for your dear people's driving in this marvelous city!